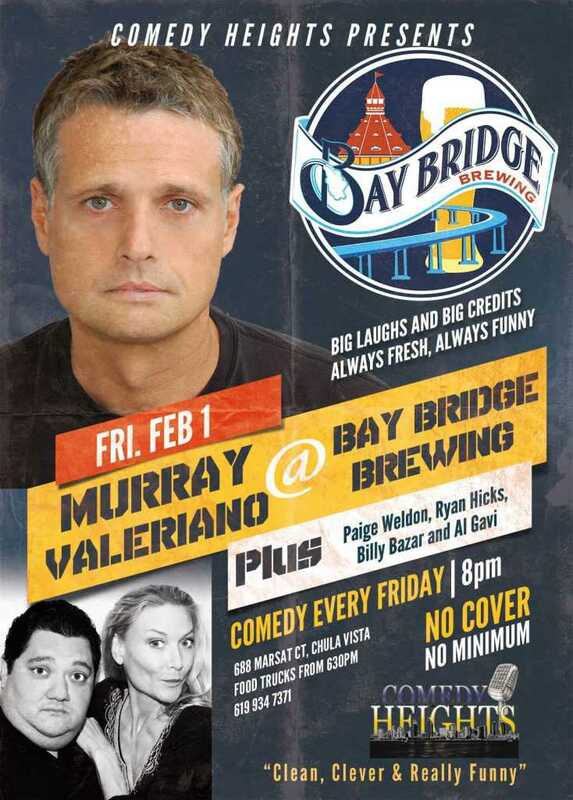 This Friday, 8PM at Bay Bridge Brewing! Murray Valeriano! Murray Valeriano is a brilliant comedian, writer, and human sponge. He grew up a Tennessee preacher’s son found and found his comedy calling in sunny Southern California. You can hear him every Monday co-hosting “Off the Cuff” with Bill Engvall and Gary Brightwell on Sirius/XM channel 97.As an award winning writer, Murray has written for the Tonight Show Starring Jimmy Fallon, The Tonight Show with Jay Leno, Bill Engvall’s Here’s Your Sign Awards and Ridiculousness to name a few. We’ll also have Paige Weldon, Ryan Hicks, Billy Bazar, and Al Gavi! Next story February 8th and 9th Comedy Heights! Daniel Eachus! 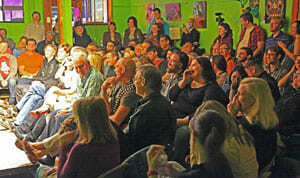 Previous story February 1st and 2nd on Comedy Heights! Murray Valeriano!